Did you like this inspirational John Lennon love quote? 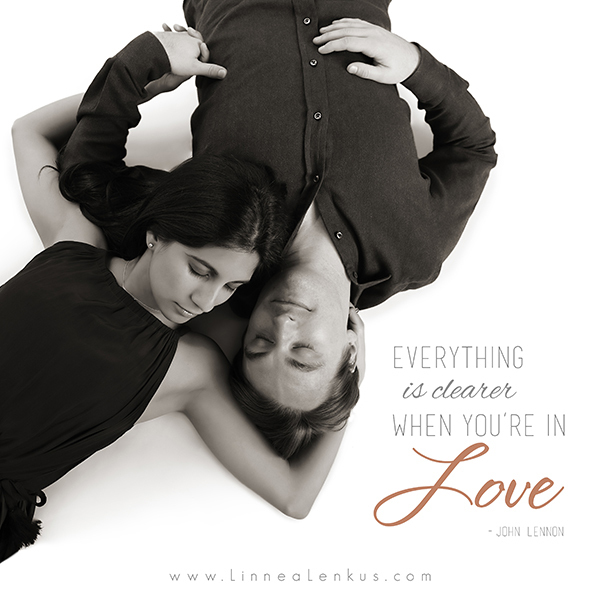 For even more in love quotes and memes about relationships, life, family, laughter and children set to the exquisite fine art photography of Linnea Lenkus, please click on the links to the right to motivate and inspire you! See a collection of Linnea’s amazing fine art portrait photography on her website. If you smiled at this couples portrait with the John Lennon love quote then you will be sure to enjoy this body and art quote along with many more like it. Feel free to share whichever inspirational quotes that you find! Please do not alter the image or crop off our website on the bottom.